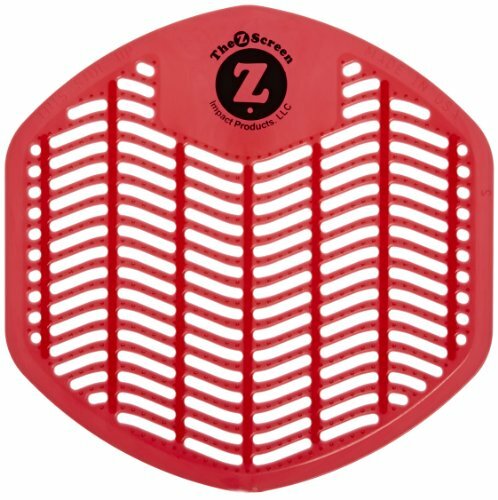 The Impact 1492 Z-Screen red plastic deodorizing urinal screen has a cherry fragrance and is used to deodorize and reduce the clogging of wet or dry urinals. It is flexible enough to fit most urinals, provides continuous odor control for up to 30 days, and releases enzymes to help clean the urinal. This screen complies with the volatile organic compounds (VOC) standards of the U.S. Environmental Protection Agency (EPA). The box contains 12 screens, and the case contains six boxes. Impact Products manufactures cleaning, maintenance, and safety supplies. The company, founded in 1963, is headquartered in Toledo, OH.